What better way to spend time with your besties before the big day than enjoying the freedom of the great outdoors! Is your groups of hens filled with the spirit of adventure? Are your stags looking for a non-stop adrenaline rush? Or are you combining the two into a sten party and need a range of activities to keep everyone happy? 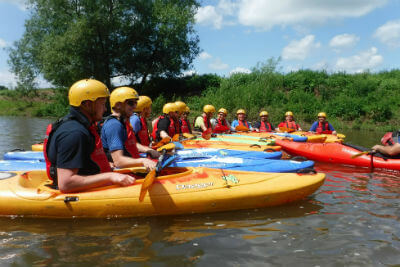 Then join us for a fun-filled experience in the Forest of Dean and Wye Valley. The Forest of Dean and Wye Valley is within easy reach of Bristol, Cardiff and Cheltenham, so if you're looking for a night out on the town after the day's activities then you have the best of both worlds! Alternatively, enjoy something a little more low key and discover the restaurants and bars in the local market towns of Coleford, Monmouth, Ross-on-Wye or Abergavenny. And if you're visiting for the weekend, we can recommend some great places to stay from yurts to hotels. What activities will you choose? But it's your adventure, we'll design the day(s) around your requirements and make sure that you all go home with great tales to tell and lasting memories for everyone. Why not give us a call for a chat about what you'd like for your stag, hen or sten party weekend - group discounts are available. Call now on 01600 891515 or email us. A personalised adventure – you decide which activities and we will design your day around your requirements. 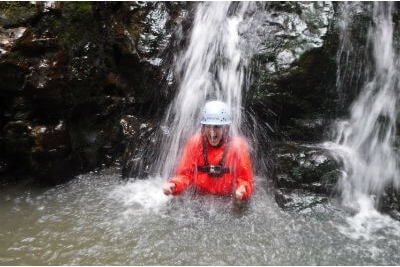 Fun – we help you to create long lasting memories for the hen or stag.